Whether you craft amazingly soft quilts or churn out mouth-watering cupcakes, hobbies help us unwind and relax at the end of a crazy workday or a long week. Maybe you’ve found yourself wishing more and more that you could turn this hobby into a full-time business, but you are too nervous to take that big leap into the unknown. Being successful at a hobby requires practice and passion. Being successful at business takes a different set of skills—like long-term planning, financial savvy, and marketing expertise. Still feeling called to turn your avocation into your occupation? Here are some tips on how to get started. In addition, a business plan can help you understand your current financial situation, as well as investment costs and loans or credit you may need to get started. A business plan will help you determine your market, and how to reach them, as well as your competitors, and how to stand out from them. If you need employees, a business plan can help you decide on how many and how often they should work. You may produce quality goods ahead of time—like scented candles or hand carved wooden tables. Maybe you provide services instead, like custom photography or kayaking trips down the local river. Regardless of your business product, you need to be able to convey your production timeline so you know how much money and time is invested into each sale. That will not only help you plan your overall budget but also the cost you’ll be charging for your work. You’ll also be able to outline any assets you may need for marketing, such as a website, social media pages, and phone numbers, and create a timeline for getting them ready to launch to the public. Sometimes you just need a place for a desk and a phone, but bigger, messier hobbies could require larger spaces. Think about what you’ll need to create, market, store and sell your hobby to the public. Is your garage big enough to fit all of those kayaks? Does your current sewing room have enough space to store all the extra yarn you’ll need to start producing more? You may need to simply expand an area you already use or you might need a bigger project, like building a new shed for storage or remodeling a basement to set up a production line. Don’t worry if you aren’t ready to go all out; you can create your home workspace in phases. 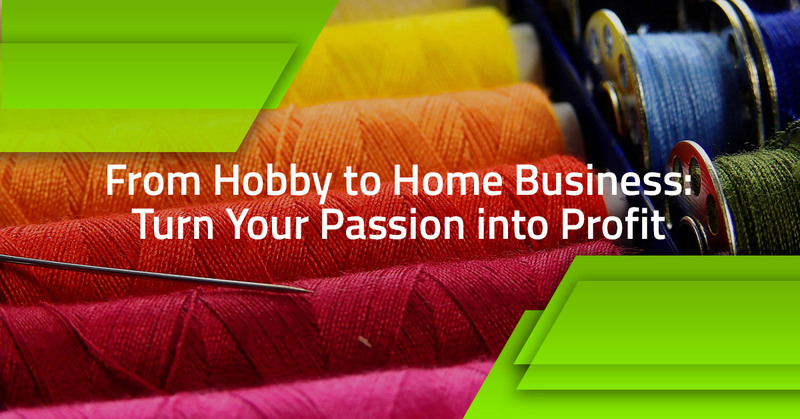 What does it mean to turn your hobby into a business? On the one hand, it means you get to spend your work hours doing something you love. It also means that a hobby that used to help you unwind might now cause you stress and anxiety. The time you spent on enjoying your passion might now be spent managing your business. You may be excited to spend more time on your hobby and less time in the accounting department at your old job, but you also need to get yourself ready for the reality of an unending work day. Being able to share your hobby with the world is a meaningful way to earn a living, but running a business isn’t all about the joy of the hobby. Getting ready mentally for the new responsibilities associated with your hobby is key to turning your passion into a profitable—but most importantly enjoyable—business.